Rise and Bake! : Happy Valentine's Day! Just wanted to share a little love this morning. Happy Valentine's Day! 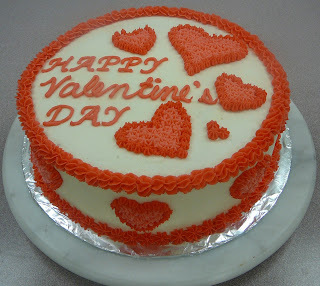 This is the cake I made to show my beginner cake decorating class how to decorate a Valentine's Day cake. Love to All! Have a nice day.